He paid with cash and ordered an assortment of dim sum. 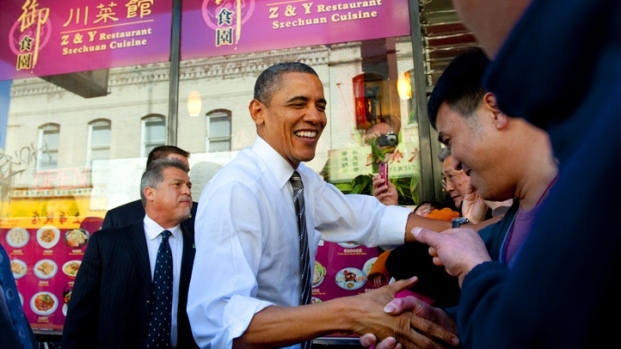 US President Barack Obama carries out lunch during a surprise visit to Great Eastern Restaurant for dim sum in San Francisco's Chinatown on February 16, 2012. For the first time in a long time, President Barack Obama went off script during a trip to San Francisco. According to the POOL reporter who is traveling with the presidential motorcade, the Commander-in-Chief made a surprise stop in Chinatown for some take out. The President of the United States pulled up at Great Eastern restaurant at 1:22 p.m. He entered with no jacket and his sleeves rolled up. The mostly Chinese crowd inside immediately started chanting, "Obama, Obama." Many of them left their plates and rushed to shake his hand. "How are you? Good to see you!" Obama was heard saying repeatedly. The President worked the room shaking hands and taking photos for several minutes before paying for his two bags of take out with cash. 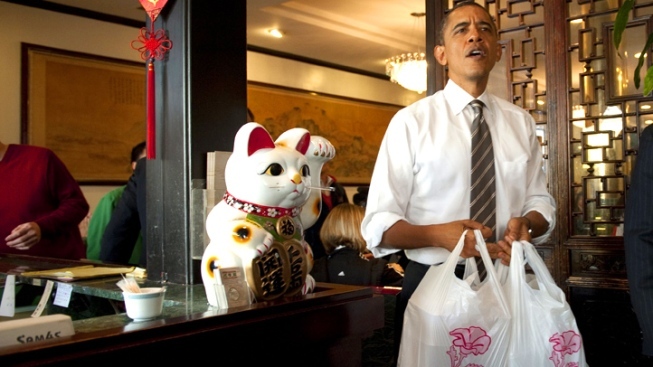 The order was a sampling of dim sum, according to an aid to Mr. Obama. The President also talked to people who had gathered outside the restaurant for a few minutes before jumping back in the limo with a dim sum in hand. The President will be in the Bay Area on Thursday and he will have some special teenage guests at one top-dollar event in San Francisco. The motorcade also drove along San Francisco Bay where it was met with big crowds waving and snapping photos. The lunch stop was not on his official agenda. Mr. Obama is here on a fundraising trip that includes several official stops. One is a private reception at the Mark Hopkins Intercontinental Hotel on Nob Hill. He also has dinner plans at a home in Pacific Heights. He finishes his night with a speech at the Nob Hill Masonic Center. 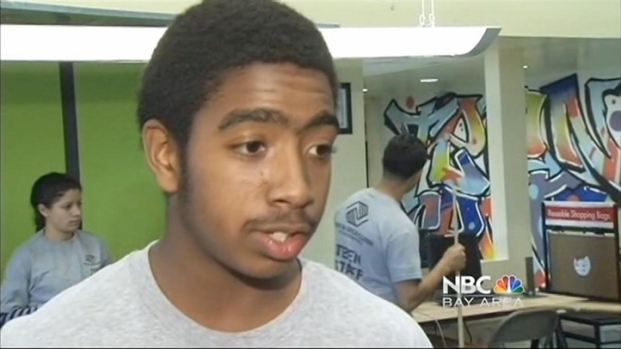 NBC Bay Area's Brent Cannon sits down with members of the Boys & Girls Club of San Francisco. The teens will attend the president's rally in San Francisco February 16th. 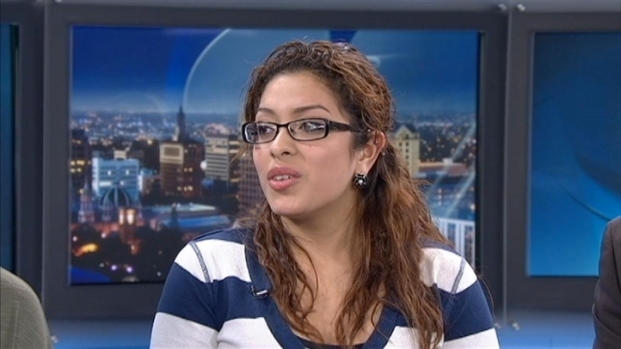 Hear what they think the 2012 presidential candidates should be talking about. The President is scheduled to spend the night in the City and leave for Washington state Friday morning.